The Irish people belong to one of the islands situated along the north-western part of Europe known as Ireland. History remembers many Irish people for their works including Columbanus, Kilian Wurzburg, Vergilius of Salzburg, Robert Boyle, Robert McClure, Brendan the Navigator, Tom Cream, George Best and many others. The Irish people of today belong to the Milesian Race. This is because the real Irish people known as the Celtic were descendents from the Milesius of Spain. Their sons or the so called legendary accounts captured and owned most part of Ireland before Jesus Christ as history states. Therefore, the Irish people are mostly known as a blend of different nations since years past. People from the Viking era have north European sway, the Spanish influence, British blend and even the very old Celtic one. During these recent years, people from different countries have migrated to Ireland constituting the future population of the country. With so many descendents, Irish people have different hair colors mostly black, brown or red but they are whites even though there are several sources neglecting this aspect. Ireland rates as one among the top 10 friendliest country and one place where tourists can enjoy and stay relaxed with the friendliness they receive from the people around. 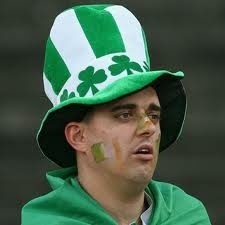 The Irish are well known for the social and friendly character they have developed. The other characters that best explains their nature include modest, self-deprecating, caring, help-minded, witty and honest. Ireland boasts of having more than 40% of young lively population below the age of 25, most of whom have already shifted to the bigger cities. On today's statistics around 10 percent of the population constitute the non-Irish people. Mandarin Chinese is the second most popular language spoken in Ireland. Ireland has some of the best writers including James Joyce, Jonathan Swift, William Butler Yeats, Oscar Wilde and Seamus Heaney. They have laid their milestones in the English language and are popular far and wide. Irish people are found mostly in the western countries due to migration and the reasons vary including religious oppression, politics, economic issues and other personal reasons. A larger portion of the Irish Diaspora is known to live in the U.S that constitutes more than 10 percent of the Irish population in Ireland itself. The other countries comprising of more than 80 million of the Irish origin includes Australia, Great Britain, Argentina, Mexico, Germany, France, Canada and New Zealand. The total population recorded in the year 2008 was around 6.1 million, out of which 1.75 million was in the Northern Ireland and the rest belonging to the Republic of Ireland. People love to visit Ireland and they are much satisfied with the friendly and helpful nature of the population that is missed out in many parts of Europe including Poland. You will be helped even for the directions in this place. People have such polite, and innocent accents that make everyone fall for the special nature they possess. This is the reason why Ireland is called as 'Land of a Thousand Welcomes' and you will have to experience it to understand the same better!